Leading religious-Zionist rabbi says solidarity event won't help find kidnapped boys, urges protests for tougher IDF crackdown on Hamas. 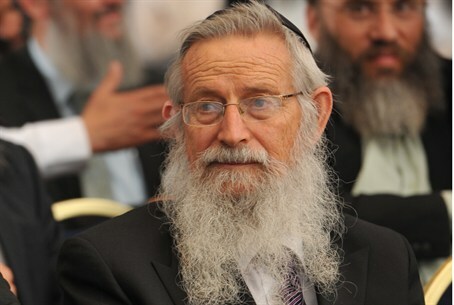 The Rosh Yeshiva of the Beit El Yeshiva, Rabbi Zalman Melamed, urged the public to set up a protest in front of the Defense Ministry in Tel Aviv Sunday to call for a tougher crackdown against Hamas. Rabbi Melamed explained that while a rally at Rabin Square planned for Sunday night, coordinated with the #BringBackOurBoys campaign, will feature artists and celebrities, only a protest outside government offices is bound to make a difference. The Ministry of Defense must step up its daily attacks on Hamas, he urged, and the real struggle is against terrorism and its supporters. "Hamas must realize that every day that passes without the boys' return to Israel costs it dearly, and the price is very heavy," Rabbi Melamed said. The Rabbi also called on the Israeli security system not to give in to pressure from home and abroad, especially from extreme left-wing groups trying to harm the IDF fighting against terror organizations. "[We must] hit Hamas leaders hard, to reduce their rights until they realize their own suffering and respond quickly to return the three boys," he said. "We must beat Hamas until they beg, 'take the boys and remove the shadow of death from me,'" he added. Operation Brother's Keeper is now in its seventeenth day. Since Naftali Frenkel (16), Gilad Sha'ar (16), and Eyal Yifrah (19) were kidnapped by Hamas terrorists over two weeks ago, 413 Hamas terrorists have been arrested. Last week, the IDF named the main suspects in the investigation over the abduction as Marwan Kawasmeh and Amar Abu-Eisha, two well-known Hamas terrorists in the Hevron area.